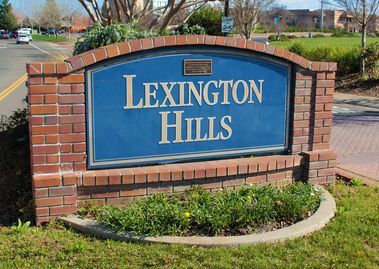 Lexington Hills is a desirable neighborhood next to the Empire Ranch community. It sits among a collection of fine neighborhoods benefitting from proximity to greenbelts, parks, wetlands, paths, and bike lanes. Built in the late ‘80s and early ‘90s, Lexington Hills is one of Folsom’s more established neighborhoods. Homes here have slightly larger lots and mature trees providing an abundance of shade and lush surroundings. Several of the streets offer expansive views, from the Sierra Nevada mountains to downtown Sacramento. There are numerous schools in the vicinity, with Oak Chan Elementary situated somewhat in the middle of the neighborhood, near Folsom Kids Play Park. Several mini parks are scattered throughout the neighborhood, and the Cummings Family Skate, Scooter, and Bike Park borders the neighborhood at Oak Avenue Parkway and Creekside Drive. A number of businesses can be found near the corner of Oak Avenue Parkway and South Lexington Drive, including California Family Fitness. The Folsom Zoo is close by, as is the Folsom Sports Complex.